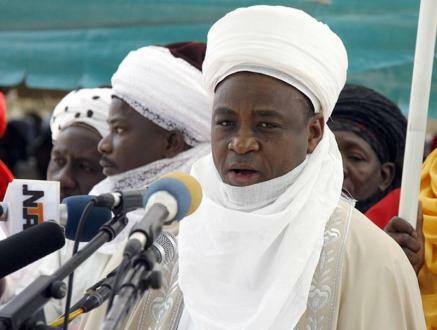 The Sultan of Sokoto, Alhaji Sa’ad Abubakar III, is expected to speak at a symposium on Cultural Diplomacy and Religion in the Vatican City of Rome, after being nominated as one of the 11 speakers for the event. The symposium is to hold from March 31 to April 3. According to a statement released on Saturday and signed by Mr Dickson Omoregie, Country Representative of the Institute for Cultural Diplomacy (ICD) in Abuja, the symposium would explore the use and potential of inter-faith dialogue to promote discourse with the ultimate goal of global peace. It said that the symposium would provide a forum that would unite religious leaders with politicians, diplomats and academics in order to create cultural platforms. “The symposium will have the theme, “Promotion of World Peace through Inter-Faith Dialogue’’. “Speakers and delegates during the symposium will include religious and spiritual leaders, leading politicians and diplomats, senior academics and other dignitaries from around the world,” the institute said. ICD was founded in 1999 as an international, non-governmental organisation with headquarters in Berlin, Germany.